Dawna has over 17 years of back office dental experience. She is the best person to answer any of your questions about billing or any dental treatment to be had. Debbie defines genuine and gentle dental care. We love Debbie and she has been providing dental care at this practice for over 15 years. 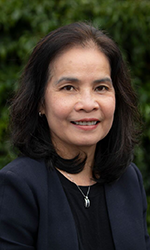 Nhien has been with the practice for over 8 years. She is thorough and knowledgeable. She will take good care of your dental hygiene needs. Antoinette has both front and back office experience. She will take the time to hear about your dental needs and help you understand dental treatment along the way.